Abergele is an old Roman trading town, situated near the north Wales coast between the popular holiday resorts of Colwyn Bay and Rhyl, in the county borough of Conwy. Its northern suburb of Pensarn lies on the Irish Sea coast and is known for its beach, where it is claimed by some that a ghost ship has been sighted. The town itself lies off the A55 road and is surrounded by wooded hillsides. 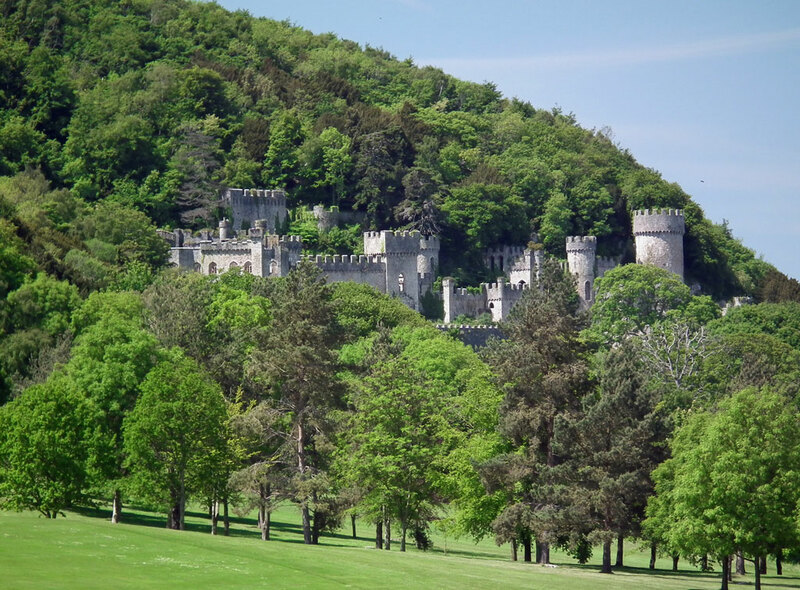 It is known for Gwrych Castle which lies to the west of the town on a wooded hillside. The castle, which was started in 1819, is now a shadow of its former self. For history of the castle follow the link on our’ Links’ page. The meaning of the name Abergele can be deduced by aber being the Welsh word for estuary and gele the name of the river which flows through the town. Gele is a dialectal form of gelau, which means spear, describing the action of the river cutting through the land. It has also been suggested this river is named because its waters flash brightly.